Absolutely gorgeous & move-in ready unit in the highly desirable community of Northpark! Ideally located interior unit with a full driveway. Boasting soaring high ceilings and abundance of natural light, this 2 bedroom & 2 bath condo shows like a model. 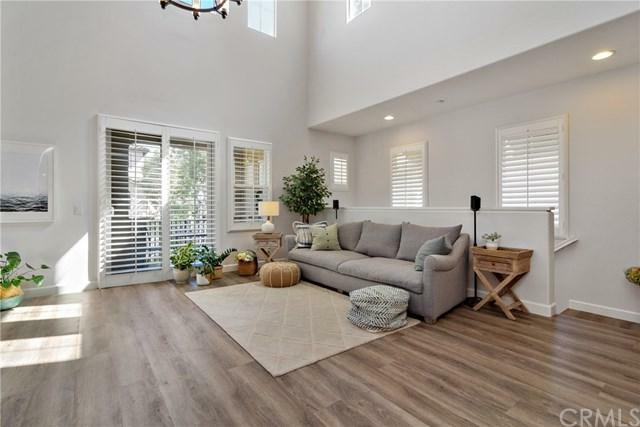 New flooring, neutral designer paint, recessed lights, plantation shutters and industrial chic lighting fixtures add elegance to the bright and open floorplan. Kitchen is well appointed with white cabinets, granite countertops, stainless steel appliances, and a breakfast bar that opens to the Dining room. Living room features a sleek fireplace and sliding doors to the balcony, perfect for morning coffee or afternoon tea. 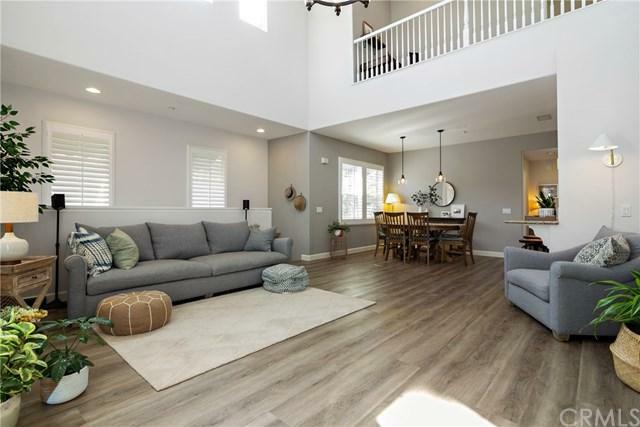 Upstairs, you'll find a versatile loft space perfect for a home office, and the Master Suite with mirrored closet doors, upgraded bathroom with dual vanity sinks and separate tub and shower. Convenient indoor laundry room on the main level, and attached tandem garage with plenty of room for storage. 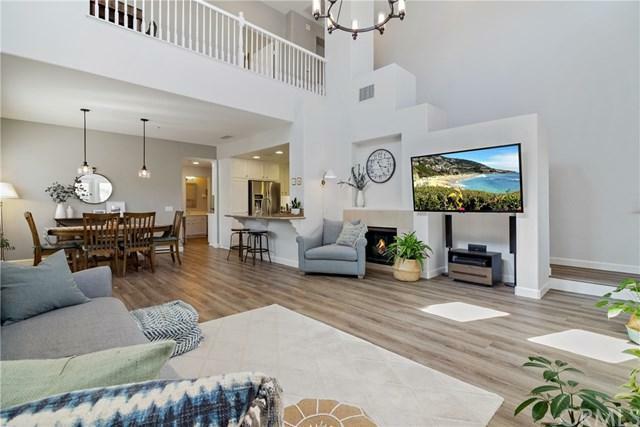 As a resident of the 24 hour guard-gated Northpark community, enjoy its famous resort-style amenities, including 5 pools, spas, playgrounds, tennis courts, clubhouse and more. 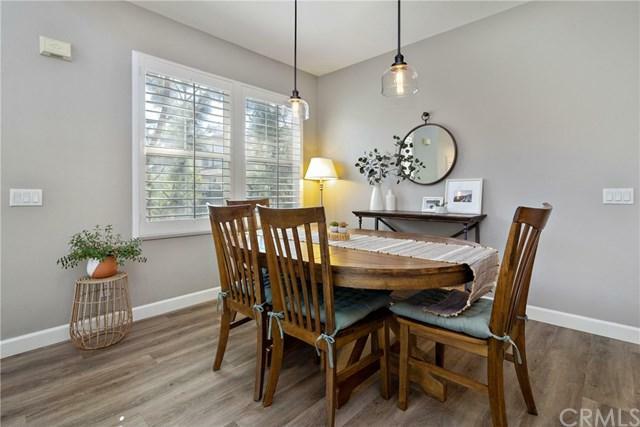 Close to shopping, restaurants, and excellent Tustin Unified Schools. Sold by Leslie Moyer of Redfin.